Campaign Operations is the last of a series of core rule books written for BattleTech. 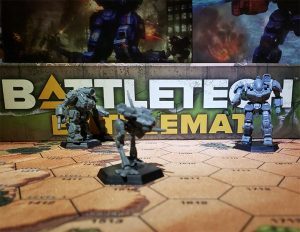 The book is designed to allow players run their own Battletech military campaigns for either Mercenary or regular Army units of the Houses the Inner Sphere and the Clans. The book provides advanced rules to a maintaining and running a military combat units a and campaigns creation. The book capable with various game types which includes; Alpha Strike, Total Warfare, Chaos Campaign, A Time of War. Campaign Operations offers rules that can be used for any type of campaign a player or group wishes to include. Gives the players tools allowing for creating a force, creating personas that would be command the unit, and more. 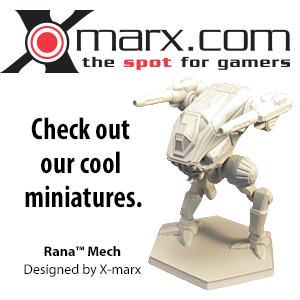 “ Forge your forces and prepare to fight any battle across the Inner Sphere! Campaign Operations completes the core rulebook series begun in Total Warfare. While previous rulebooks detailed game play at various levels—from a single MechWarrior, to a BattleMech company, to entire armies—this final volume focuses on the forces a player will build and run through any level of play. Campaign Operations contains rules for creating andrunning forces, whether a down-on-their-luck mercenary battalion, or a fully-supplied House regiment. The volume also contains complete rules for devising solar systems, allowing players to recreate existing star systems or craft all-new worlds to challenge each other. The final sections of the book bring several options to the table for campaign play. Building off of previous sections in Total Warfare and Strategic Operations, the Narrative Campaign, Map-Based Campaign and Chaos Campaign rules allow players to build exciting, fun campaigns of almost any stripe for their newly-minted forces! Initially when conceived, the contents of this book was suppose to have been part of previous Interstellar Operations rule book, but this was considered to be too large and expensive of a book when combined. Thus Campaign Operations became the second volume of the Interstellar Operations. This page was last edited on 29 September 2018, at 10:30.